Sarah Assbring, a.k.a. 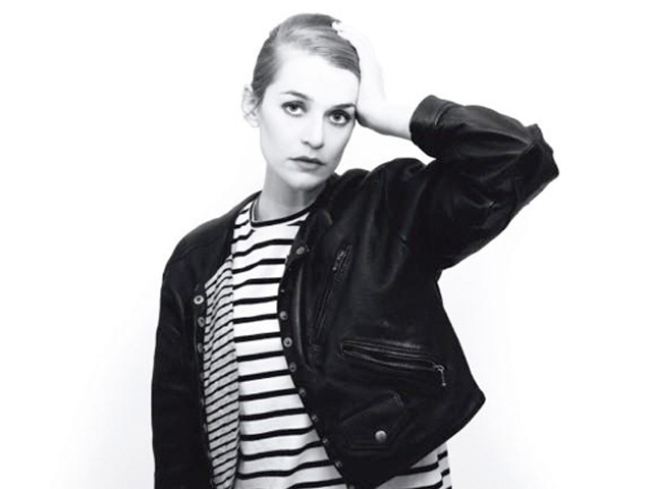 El Perro del Mar, performs at Other Music tonight. SEA CHANGE: Out today is the new album “Love Is Not Pop” by talented Swedish singer-songwriter Sarah Assbring, a.k.a. El Perro del Mar, whose melancholic lo-fi pop sounds like what you might get if you asked Lesley “It’s My Party” Gore to pen a funeral dirge. Needless to say, we heart her, and she’s doing a cozy in-store show at Other Music tonight. (Grab a free download from the new album here.) 8PM. CAUSE AND EFFECT: City Harvest, the organization that channels more 25 million pounds of discarded restaurant food to the hungry every year, hosts its annual Bid Against Hunger benefit at the Metropolitan Pavilion tonight. $250 is steep, but you’ll get to sample meals from more than 60 of New York’s finest restaurants – Blue Hill, Convivio, Per Se, Locanda Verde -- and watch their chefs in action, all while contributing to feed those for whom $250 would go a very long way indeed. 7-10PM. GOREFEST: The stunningly prolific essayist, novelist and pretty much everything-elseist Gore Vidal makes a rare public appearance at the 92nd Street Y to discuss his most recent book, “Gore Vidal: Snapshots in History's Glare,” and his nearly untouchable six-decade career. Vidal biographer Jay Parini hosts. 8PM.